Thousands of Yasmin lawsuits have been filed over the birth control pill’s alleged association with blood clots, heart attacks and strokes. Bayer has agreed to pay billions to settle many of the claims involving its drospirenone-containing oral contraceptives, including Yasmin. Bernstein Liebhard LLP offers free, no-obligation legal reviews to individuals who have been harmed by prescription drugs, including birth control pills like Yasmin. To learn more, please contact our office by calling (888) 994-5118. Yasmin was developed by Berlex laboratories and received approval from the U.S. Food & Drug Administration (FDA) in 2001. It was the first drospirenone-containing contraceptive to be cleared for sale by the agency. In 2006, Berlex was acquired by Bayer AG. Yasmin quickly became a success, and by 2006 had captured 17% of the worldwide market for oral contraceptives. However, in 2003, Berlex was hit with an FDA warning letter, after the agency determined that a Yasmin TV commercial was misleading. According to the agency, the commercial in question implied that Yasmin was safer than other methods of birth control, which is not the case. Drospirenone is a synthetic progestin. According to Yaz lawsuit filings, this form of the hormone is associated with certain side effect not seen with other types of progestin. For example, drospirenone has been linked to hyperkalemia, which occurs when there is too much potassium in the blood. Plaintiffs claim that Yasmin carries a higher risk of heart attack, stroke, pulmonary embolism, and deep vein thrombosis compared to birth control pills made with other progestins. All oral contraceptive are associated with an increased risk of cardiovascular complications. But a number of studies have suggested that drospirenone birth control pills may be more likely to cause these health problems than other drugs. 2012: A study published in the New England Journal of Medicine suggested that women taking low-dose estrogen birth control pills combined with progestin, such as Yasmin, were 1.5 to 2 times more likely to have a heart attack or stroke compared to those who were not using hormonal contraception. The highest risks were seen in women over 45, or those who had high blood pressure. 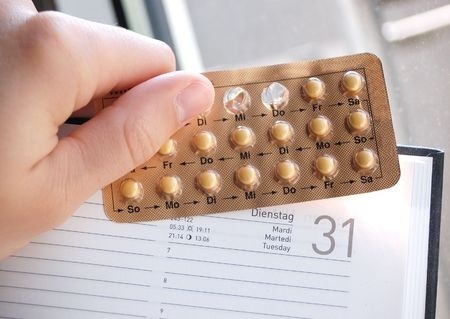 2011: A British Medical Journal Study involving 1.2 million Danish women of reproductive age reported that those who used birth control pills with drospirenone faced double the risk of venous thromboembolism as compared to users of older oral contraceptives. 2011: A study funded by the FDA indicated that Yasmin and similar oral contraceptives might increase the risk for blood clots by as much as 75%. The FDA study followed nearly 800,000 women who were taking forms of birth control with drospirenone, including Yasmin. The risk was highest for women who had been taking the drugs for less than year. In 2012, the FDA ordered label modifications for Yasmin and other drospirenone-containing birth control pills, after several studies suggested the drugs might be associated with an increased risk for blood clots, including pulmonary embolism and deep vein thrombosis. You may be entitled to compensation if you or a woman you care about experienced a heart attack, blood clot or stroke while using Yasmin. To learn more about filing a Yasmin lawsuit, please contact Bernstein Liebhard LLP by calling (888) 994-5118.